Hello! I'm up on the DeNami Design Blog today! The most recent DeNami Design release included several absolutely adorable bunny images! 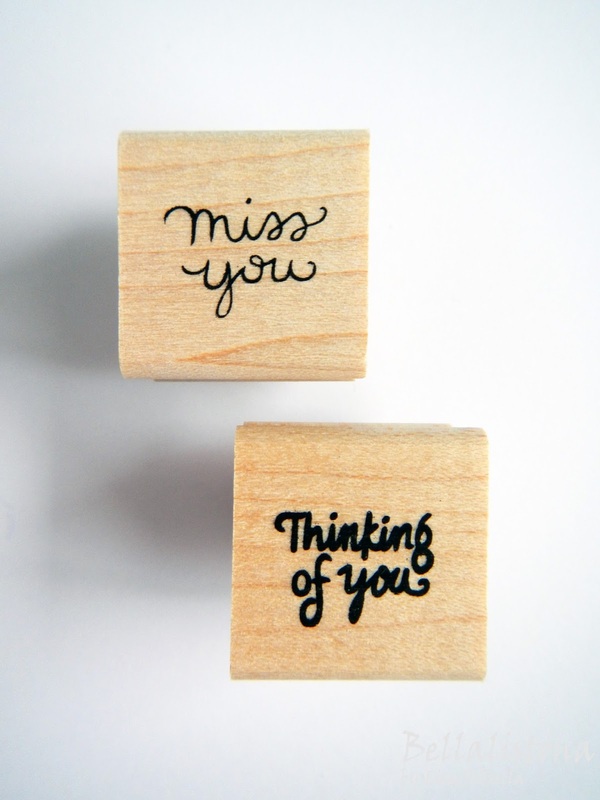 These are perfect for Easter, but also for baby cards, miss you cards, and thinking of you cards. For my project today I created a 3” x 3” mini card featuring the NEW CL-E200 Bunny Tail Trio. This image makes my heart swell! I love it sooooo much! I stamped the NEW CL-E200 Bunny Tail Trio image onto white cardstock, colored it in with markers, and fussy cut it out. I covered the base of my card with patterned paper and added a hillside (die-cut with PPPD04 Pretty Pink Posh Stitched Borders 1 Dies). I die-cut a circle from PC14 Iridescent Pearl Cards (love the shimmer) and tucked it behind the hillside. I wanted it to look like the moon rising on the horizon. To finish, I adhered the bunny tail trio. “Miss You” is from the PF26 Assorted Greetings Stamp Set and “Thinking Of You” is from the PF48 Thoughtful Greetings Stamp Set. Hope you like my card for today! Thanks for visiting! This is soooooo adorables! Great coloring. I LOVE this, Lisa! 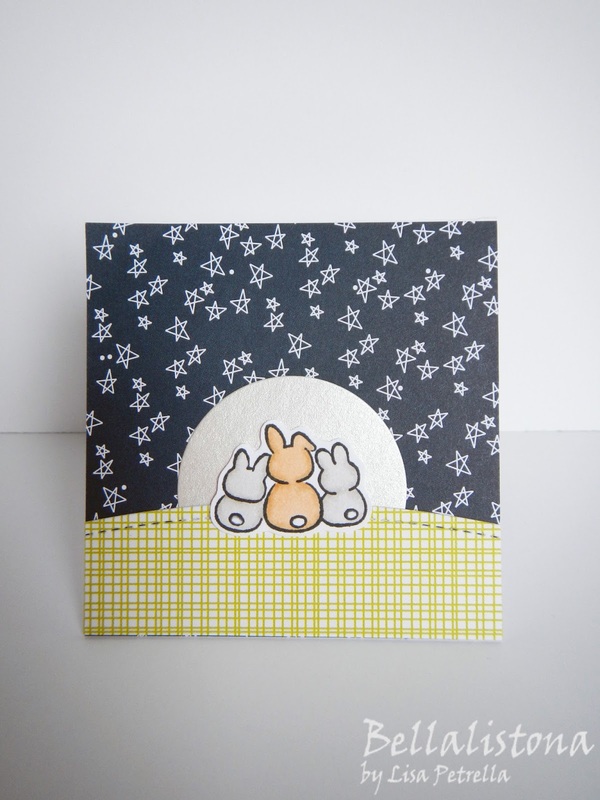 The bunnies are adorable, the patterned papers are perfect and using the iridescent card for the moon is genius! This is darling! What a cute little group taking in the stars!